Morrisons has appointed agency Fresh Group to create a recognition event for long-serving employees. Fresh Group won the contract after pitching against several other agencies. It will organise one to two celebratory events next year for staff that have reached a specific milestone in their career at the supermarket giant. Morrisons communication and engagement manager Paul Dowd said: "Fresh's creative approach and understanding of our requirements really hit the mark - its pitch was by far the best and we're all massively excited about the forthcoming projects." 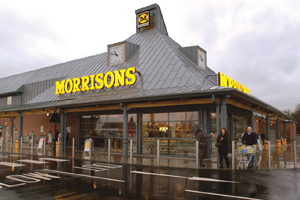 Fresh Group managing director Nick Porter added: "To clinch Morrisons is an exceptional win, particularly as it comes after more than two years of patient dialogue between our teams. "We've come up with a brand new format and completely new branding for the event. It's going to be completely different." The contract represents another major win for Fresh, which has added ten new clients to its portfolio this year including M&S, Avon and Makro, representing nearly £750,000 worth of new business.